To achieve your business goals, your blog needs a personality to make it stand out in the sea of information competing for your target audience’s attention. Understand that the best content delivered without personality, in a ho-hum manner, will fail to attract a reader base. People trust the information on a blog if they feel they know and can trust the person behind the content. Therefore it’s critical to develop a personality for your blog. 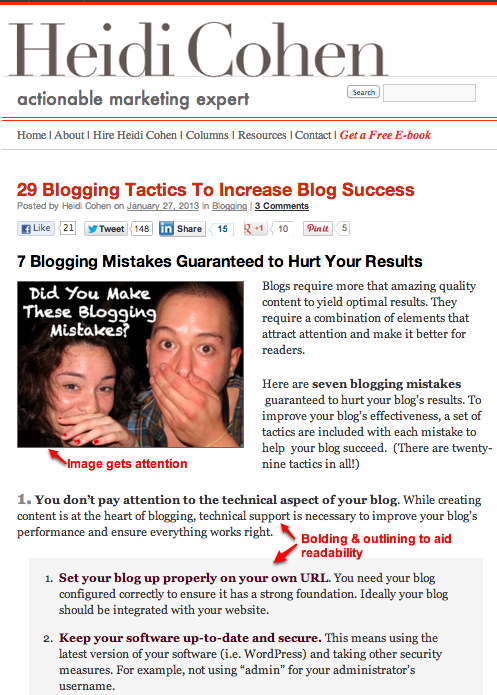 These nine actionable blogging tips will help you. Be real. As a form of social media, your blog needs to be transparent and reveal who’s behind it. To this end, show you’re a real person whose life has its ups and downs. This reduces the distance between you and your readers while eliminating empty corporate-speak. This doesn’t give you permission to share every detail about your life with your readers. (Even a Jewish mother doesn’t want to know that much!) My readers, for example, know I live in New York City and I’m an avid knitter. Actionable Blogging Tip: Consider the perceived distance between you, the writer, and your content. Determine how much of your personal life you’ll reveal as well as how much you want to interact with your audience in real time. Have a point of view (aka POV). Decide what you want your blogging role and perspective to be in the social conversation. This extends to your position; are you a senior executive or a solopreneur? Do you want to inform and persuade your audience or moderate a discussion? Take into account what you’re willing to say about your topic. Are you willing to share your opinion regardless of the product or issue? Actionable Blogging Tip: Consider how your perspective informs the type of content you create and on which topics. Remember your goal is to build your stature in the community. Therefore you don’t want to be known as a flip-flopper. Incorporate a level of emotion. Think about how you want readers to feel when they read your blog. What emotions in your target audience do you want to evoke? Feeling strongly about your topic can be contagious and get your readers excited. This helps to get them to return to your blog or take other actions. Actionable Blogging Tip: Show you feel personally about the blog’s topic. Determine your attitudes on the topic. If you like something, say so clearly. Don’t be wishy-washy. Identify the themes and topics the blog will cover. Define how you’ll approach this information as this influences the posts you write and how you present them. Actionable Blogging Tip: Go beyond selecting a few main categories to determine how you’ll handle them. This requires thinking about how to infuse your editorial calendar with your blog’s personality. Tell stories and antidotes related to your business, brand and products. This is particulary important since people are trained to remember stories. Dan and Chip Heath discuss this point in their book, Made to Stick. 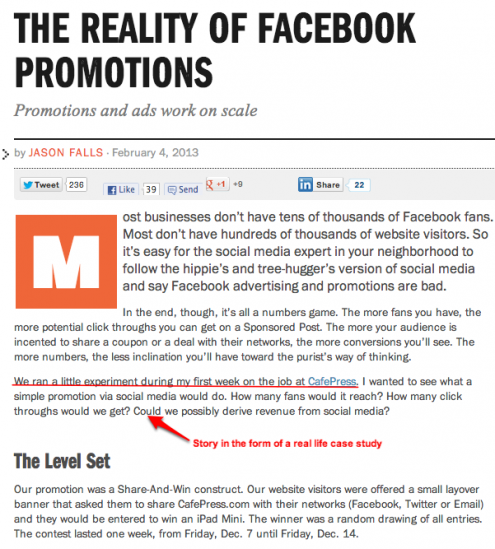 Here’s an example by straight shooter Jason Falls of Social Media Explorer who uses a client case study to make his point. Actionable Blogging Tip: Gather stories from your firm’s history as well as from your employees and customers. If you still need help, here are 29 ways to find your company’s stories. Define your behavior. This refers to how you act in public and engage with people on your blog by responding to comments on your blog, commenting on other articles and blogs related to your topic as well as on the social media platforms where you’re active. Your behavior should be in line you’re your blog’s brand. 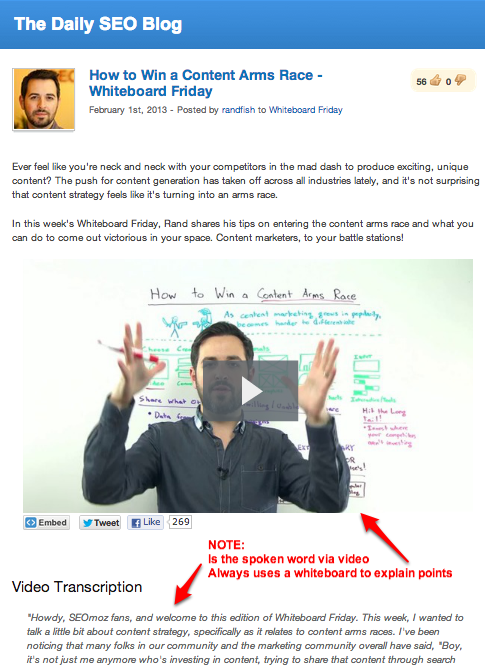 For example, Rand Fishkin of SEOmoz does a whiteboard video every Friday. It’s visual and consistent. Further, it makes the brand’s voice come alive. Actionable Blogging Tip: Show your behavior through your writing, social media engagement and real life interactions. These can be translated to your blog through the content and images you create. Use language that represents who you are. Incorporate how you speak into your content. For example, Mack Collier adds his southern accent and vocal mannerisms. Also, write in the active voice. Blogging unlike other content can be written like you’re speaking directly to your reader. In some cases, you may decide to use the f-bomb but make sure that doing so is aligned with your brand. 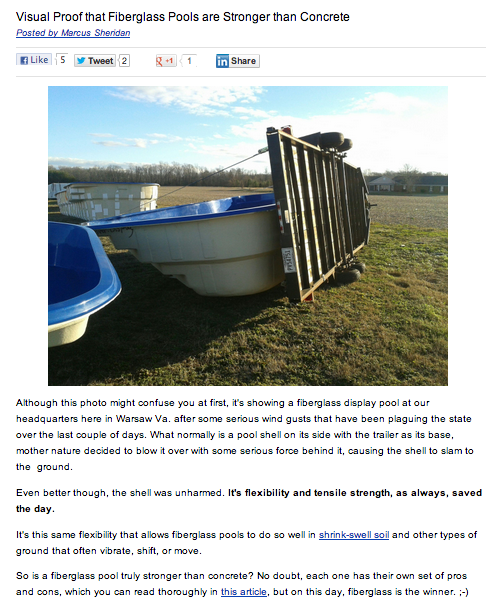 Here’s an example from Marcus Sheridan’s River Pools and Spa’s blog where he uses short-to-point plain everyday language to talk to his customers that builds trust. Actionable Blogging Tip: Adding language tics helps to build your blog’s brand and differentiate you. BUT—don’t mistake this for poor grammar and usage. These elements reflect badly on you, your blog and your business while detracting from your trustworthiness. Structure your content. This translates into considering the type of content you’re going to create such as news articles, stories, reviews or other types of information. Just as having the same food every day gets boring, the same applies to content. This aspect of structuring your information should be in line with your brand. Here’s an example from this blog, Heidi Cohen’s Actionable Marketing Blog, showing how the information is bolded, outlined and highlighted to facilitate reading. (Here are more details for improving formatting effectiveness.) Actionable Blogging Tip: Mix up your offering. Format the content to make it easier for your audience to consume when and how they want to. Be consistent. At a minimum, you have to present the same set of qualities on a regular basis to establish your blog personality. This is part of the reason bloggers need to be human. Further, you must publish on a regular schedule to build an audience. Readers like to know when fresh content will be available. Actionable Blogging Tip: If you have multiple writers, use a copyeditor to ensure that you present your content in a uniform way. 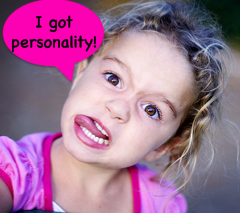 Just as it takes a child a while to develop his or her unique personality, building a blog personality takes time. What’s important is to define your blog’s personality so that every post and related activity contributes to increasing your blog’s trustworthiness. What other attributes would you add to a blog personality and why? Please join me –I’m speaking on blogging and content marketing. Tags Blog Personality, Jason Falls, Marcus Sheridan, Rand Fishkin, River Pools and Spas, SEOmoz, Social Media Explorer. Bookmark the permalink. I think a huge key is outlined in #7. Speaking the way you would in a face-to-face interaction allows your personality to flow through the blog, giving it the most authentic feel and allowing followers to get a glimpse of you outside of cyberspace. People love stories because it gives them something to connect with! It turns your information into something with a personality and style of its own. What it comes down to is that people want to do business with other people. A corporate blog is a less formal way to market a business and should be treated as such. Allow prospects to get to know the people within the company through the blog so that a stronger connection is formed.